These little thirst quenching treats come in 200ml serves and are packed full of natural goodness. 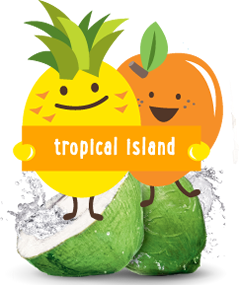 Each individual serve of Cocobella Kids Coconut Water & Juice contains 70% coconut water with the addition of 30% natural juice and nothing else, making them a lighter choice for kids in today's health-obsessed world. In case you're wondering just what coconut water actually is, it is the juice from the inside of young green coconuts. It is low in calories thanks to its naturally occurring lower sugar content, (compared to popular juices) and it contains zero fat. Coconut water is also rich in electrolytes making it a superb choice for preventing dehydration in little people. It is really proving itself as an ideal Summer drink! Small serves: At 200ml each, there's no wastage. They're neither too big nor too small. 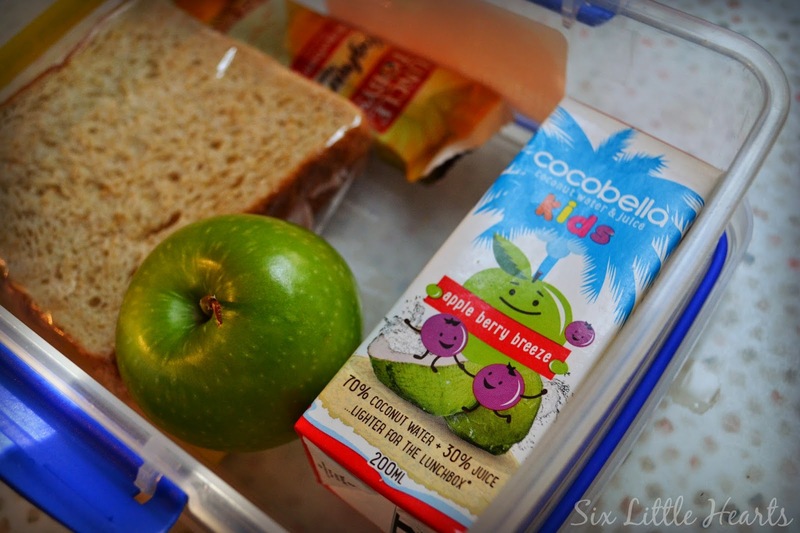 Cocobella packs into lunchboxes perfectly leaving room for food too! Chill each serve overnight and they can help keep the kids' lunches cool for the day. Cocobella Kids contains no added colours or flavours. There are no additives or preservatives within, just natural goodness and flavour. No added sugar - only pure coconut water and juice. Naturally occurring electrolytes (such as potassium), work effectively to prevent dehydration in kids. Cocobella Kids complies with school canteen requirements. 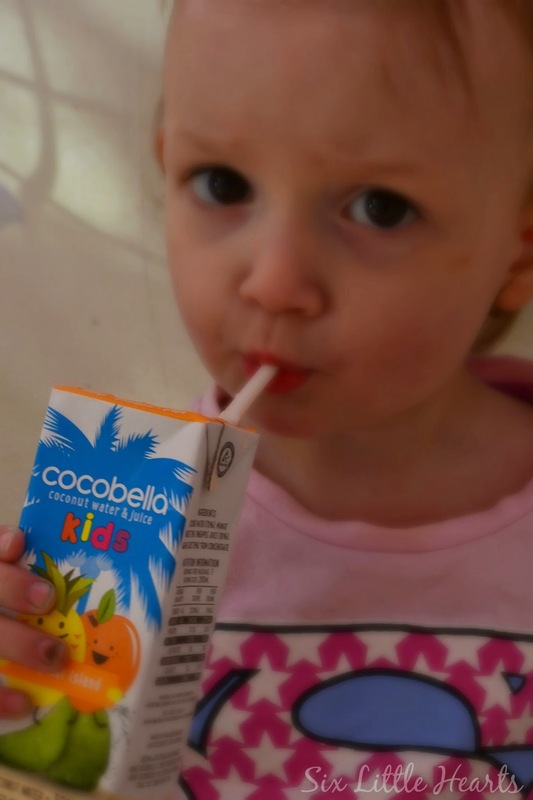 Cocobella Kids is a drink suitable for all ages, from toddlers to teens, making it a quick and simple purchase at the supermarket too. Long life Tetra (BPA-free) packaging ensures you can keep a fresh supply of Cocobella Kids in your pantry year-round for convenience. 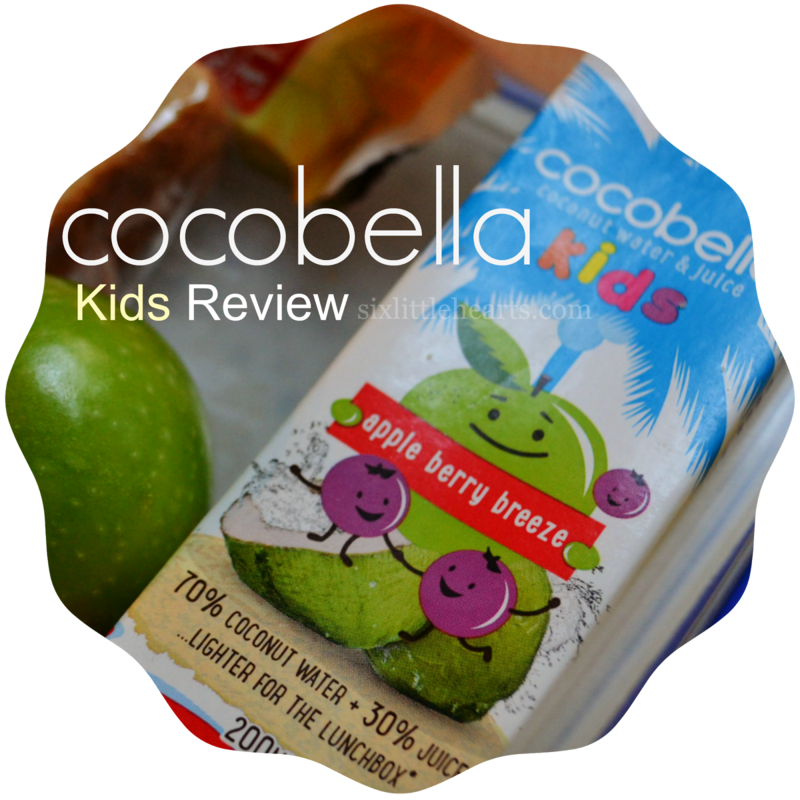 Cocobella Kids is sold in packs of three (RRP $3.49) and is available in two flavour options: Tropical Island (containing mango puree, pineapple and grape juice) and Apple Berry Breeze, (apple and blackcurrant juice). 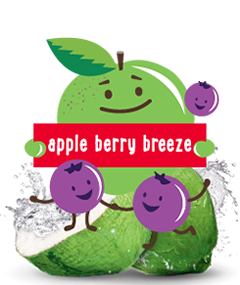 My kids have a preference for the Tropical Island flavour over the Apple Berry Breeze at this point in time but that's just because there's currently a choice on offer in the pantry! I know as soon as the Tropical option is gone, they will swoop on the Apple Berry flavour because that's just how they operate. Do your kids do that too?! 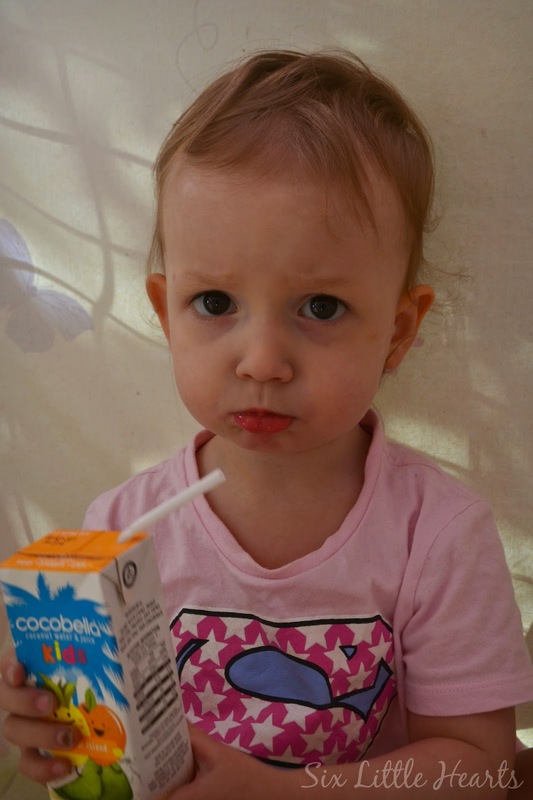 You can find out more about Cocobella Kids Coconut Water & Juice on their website. Purchase Cocobella Kids products at all Woolworths supermarkets nationally. 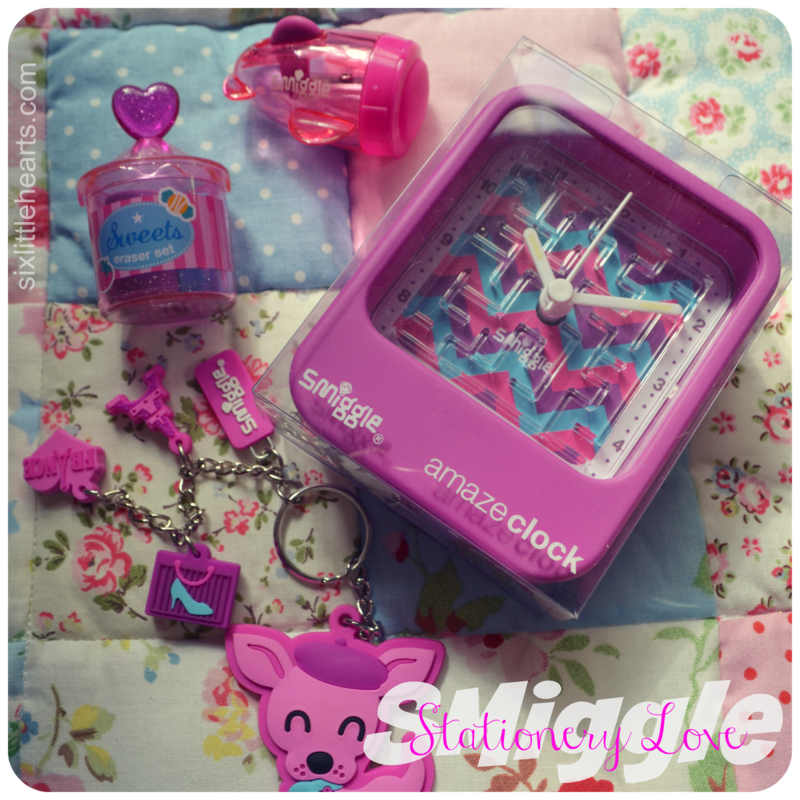 Cocobella are a 100% Australian owned company. 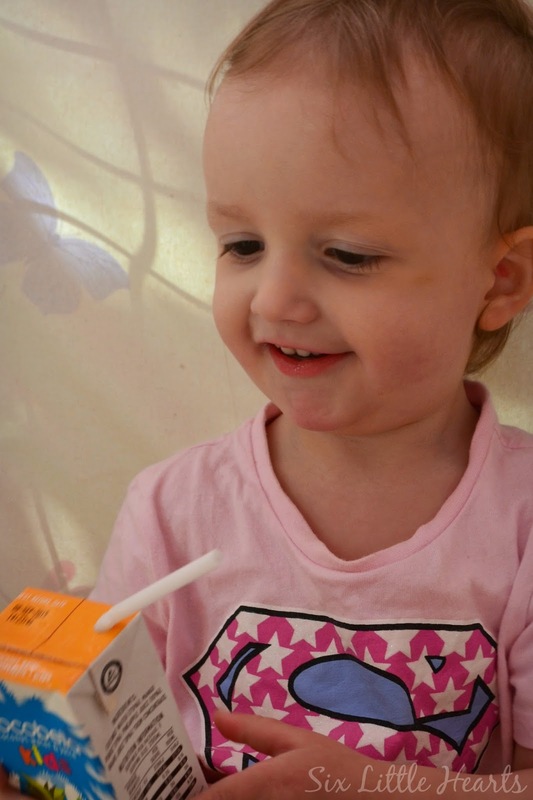 *Disclosure: Six Little Hearts was gifted a supply of Cocobella Kids for the purpose of review. They're really great Lydia - do try a pack. Much better than just water for rehydrating on hot days. I only ever bought poppers just once and that was enough - they were like a liquid sugar bowl! These are so natural tasting and not overly sweet in the slightest. No, they're not watered down at all and the taste is really pleasant. I think you'll find your kids will approve. My kids have had them and love them. I drink cocobella with pineapple a couple times a week after I have done a work out. Very quick way to hydrate. Aren't they fab! (I keep pinching them from the fridge too, when they're not looking!) Cocobella - with pineapple - is that a new version on the shelf for adults or are you mixing your own? Sounds like a pina-colada to me (which I adore!). These sounds awesome!!! Great to see they have a kids products now and its flavoured. 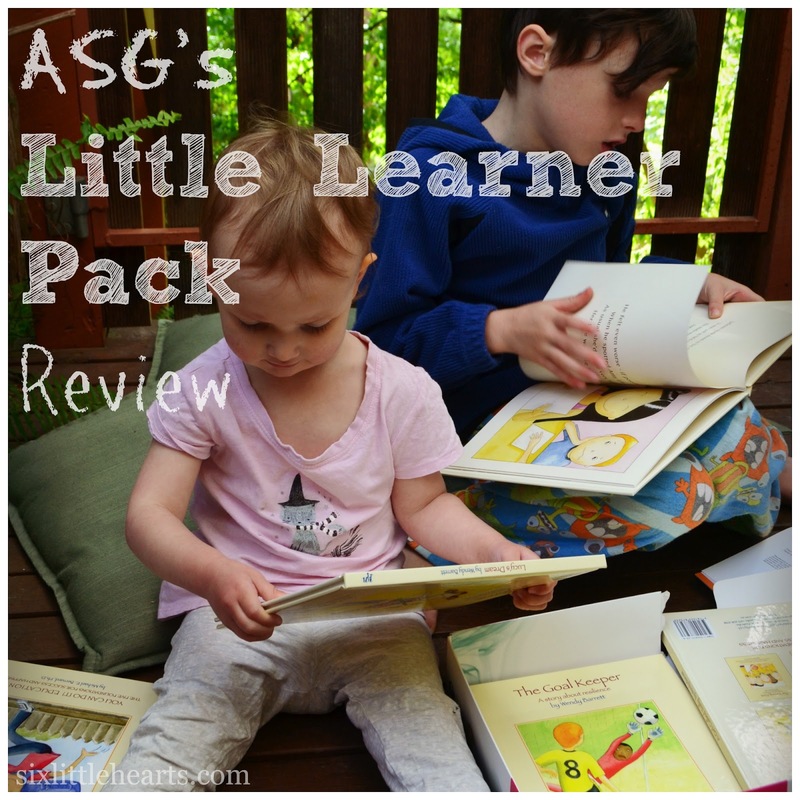 Fantastic review - now need to go out and buy some! 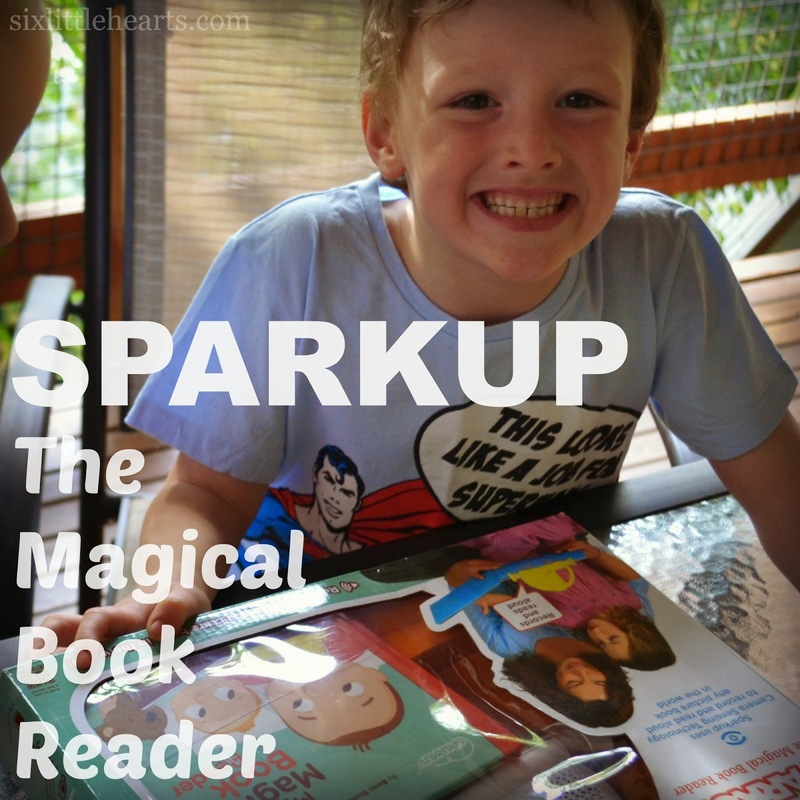 They are pretty awesome - I need to make sure I leave some for the kids too! These would be perfect for you, and I can imagine drinking too much water up there only acts to dehydrate you more. You would like these! Keep looking Alicia! I think I saw them in the drinks aisle at my Woolworths. They're often on the end of the aisles too. I drink the normal stuff and haven't thought about the new ones for the kids. They love the V8 juice berry flavour, that has a serve of vege and a serve of fruit! Your kids would enjoy this. Very refreshing. Great review, lovely. I'm publishing mine next week and actually use them as a replacement for milk in Elliott's smoothies too. I will be keeping an eye out for these.. especially since Moo has so many allergies. They sound great. These would be great for kids who suffer allergies. I can't imagine any reactions from something this natural. Good luck. Haven't heard of these in the UK but I'll definitely be trying to find them now! They sound great.